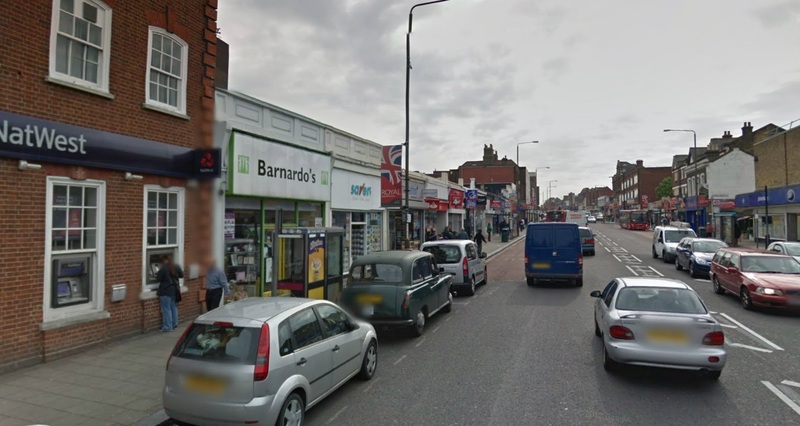 Unfortunately the grim High Street on Wilton Road is not seeing much money at all, and it seems to mainly go on reports, consultants, guides and shop fronts. Improving the very poor public realm seems to be an afterthought. I can only assume a bigger funding bid is being drawn up (possibly a major scheme bid to the Mayor and GLA’s Local Implementation Fund) as this is the crucial area to improve. 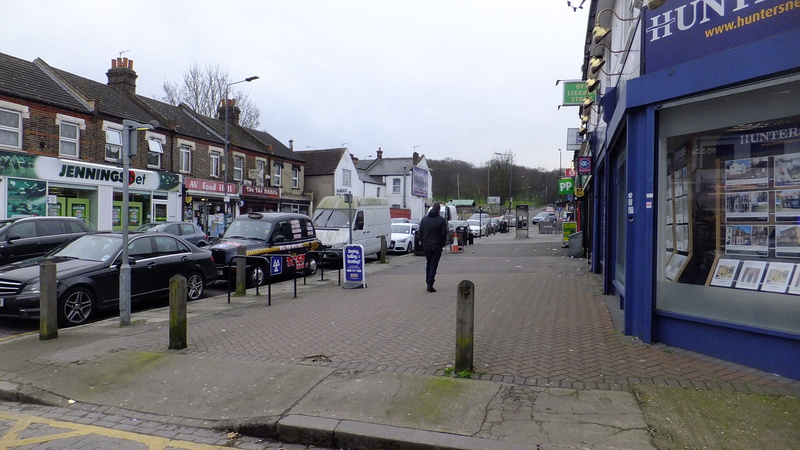 And after 20 years of Greenwich Council saying Crossrail would lead to High Street improvements along Wilton Road, it’s a bit rich to do so little for the entire area shown in the photo above, which is the main town parade and sees high levels of footfall. New shop fronts are great, but there isn’t that many units where I can see it making a difference. Do national bookmakers need public cash, and will they be keen on changing their garish shop fronts anyway? The takeaways aren’t going to magically transform the area with new fronts. What will is new business drawn in by attractive streets, which will also help more people visit or spend time there. There’s around 200 plots at the caravan holiday site by the woods up the road, with possibly 400+ visitors at any one time. The majority will be passing through to the station. New paving, street furniture (i.e. not those weathered, bent-up old wooden bollards they stick up everywhere) and trees will help create a place that they, along with residents, may want to stay. Better signage to the park, woods and Abbey Ruins is a must too. And when it’s done Greenwich Council must be better at maintaining any improvements. £300k isn’t too much, but if focused on the right areas could have some solid short term improvements. 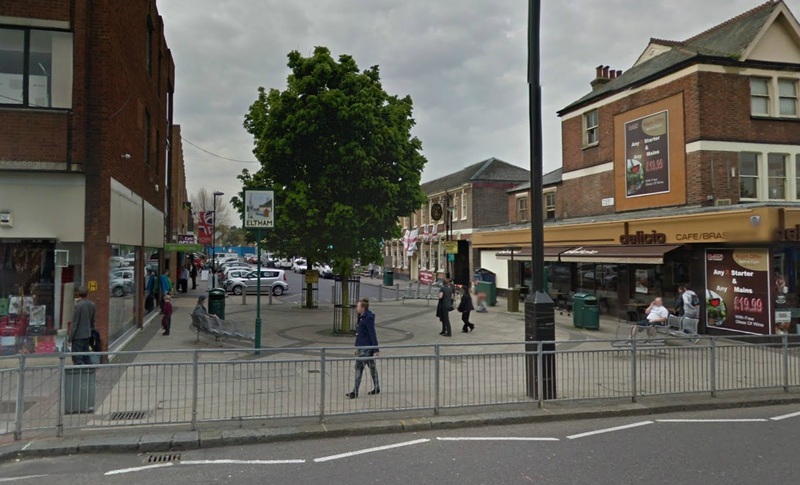 Over at Eltham there is a larger £6m scheme to completely reshape public space along the High Street, and areas off it such as Passey Place. Details are here. A feedback website is here. It’s the same as the Abbey Wood site above, and both are great examples of how to present ideas and generate replies. Well done to the council for setting them up. Funding is coming from the aforementioned Local Implementation Fund. Every council in London is awarded funding for large schemes above £1m in one area each year. This is Eltham’s turn. Next will be Greenwich town centre again, and I believe not the area to the east that badly needs it, but the area of the borough that’s needs it least – West Greenwich. 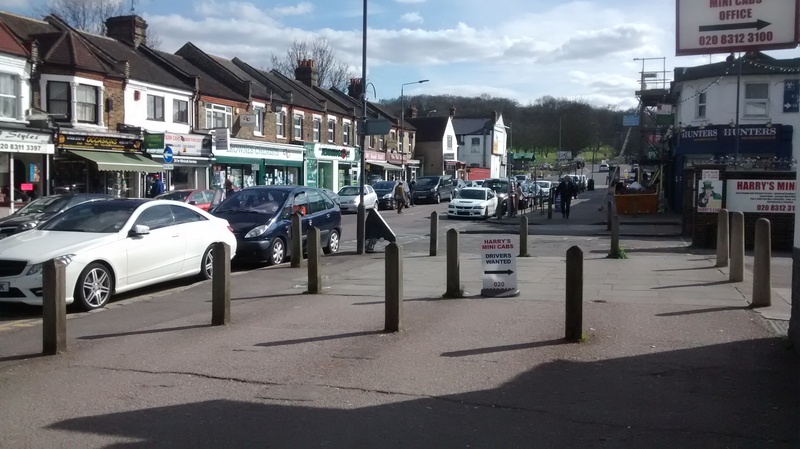 Hopefully in future more deserving candidates gain – such as Plumstead and Abbey Wood. Most elements of the Eltham scheme look very promising, but as ever, will Greenwich council maintain it? Will the Highways Department learn from outside knowledge and skills coming in to design and implement the scheme? Previously we have seen fantastic externally funded and designed schemes like Woolwich Squares but it seems to have had no impact on subsequent behaviour on street and junction designs in the borough, which still adopt anti-pedestrian and cycling design straight from the ’70s, such as that seen outside Waitrose in Greenwich. The crucial issue in Greenwich council is changing internal cultures which are unable or unwilling to deal with various issues, and so often seem rooted in the past. Big money schemes need to be in the right areas, then maintained post-completion. In the meantime carry out simple things that are easy wins. At Abbey Wood they could have removed street clutter years ago for next to nothing, and unified what remains with decent quality street furniture. Instead of implementing twice as many cheap bollards installed as needed (which are pointless when they allow paving to become car parks without any action) why not have one row of good quality, stainless silver or black metal ones that look smart? There’s loads of small scale stuff that could’ve been done, and even more so with £300k. We will have to wait and see what improvements happen, and what the council learns.